Christmas lights are always a must-have when decorating for the yuletide season. However, if you want a twist of winter on your lights, then you can use doily snowflake lights instead. Doily snowflake lights make use of the same Christmas lights that are wrapped on trees and garlands, but these are adorned with snowflake doily cut-outs. The cut-outs are then tucked on the small lights so that when they are lit, they’d look like glowing snowballs instead. 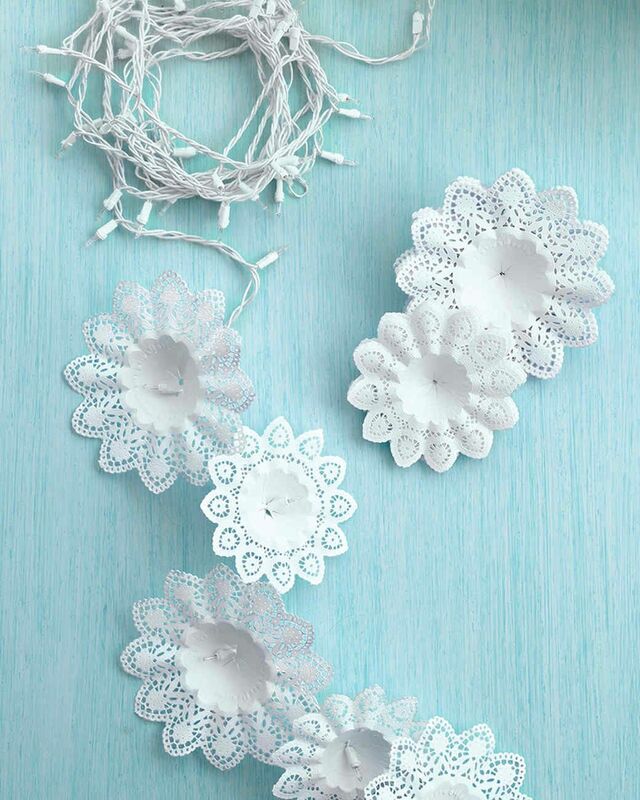 Doily snowflake lights can be used on Christmas trees or wrapped around garlands and banisters. You can also hang them on the porch ceiling and light them up during the evening to give your doorstep a simple yuletide cheer.